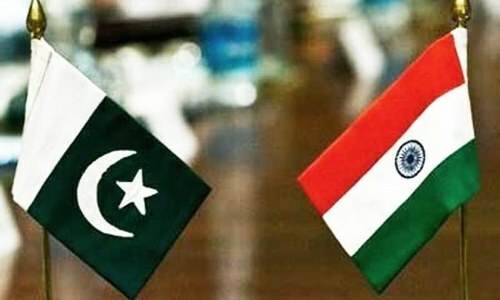 ISLAMABAD: India has decided to return to the negotiating table with Pakistan over its disputed hydropower projects in April, following the intervention of the US and the World Bank. Water and Power Minister Khawaja Mohammad Asif said on Monday that the two nations would hold three-day secretary-level talks on the Kishanganga and Ratle hydropower projects, under the aegis of the World Bank, in Washington from April 11. Speaking on the sidelines of the two-day talks between Indus water commissioners from both sides, the minister, who also holds the portfolio for defence, welcomed the Indian decision to resume negotiations under the 1960 Indus Waters Treaty on the proposed Pakul Dal, Miyar and Lower Kalnai hydropower projects, disputed by Pakistan. “The US has intervened at the highest level to help both countries resolve the issue. There will be secretary-level talks on the Ratle and Kishanganga hydropower projects in Washington on April 11, 12 and 13,” he said at a press conference. “We are happy that India has finally agreed to resume talks at the commission level. 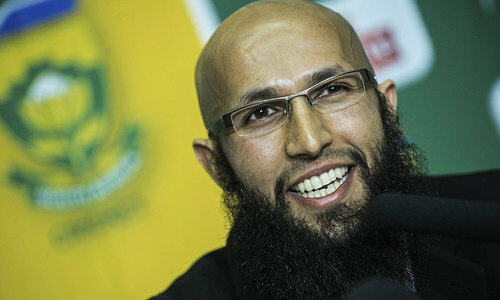 We welcome this decision and the visit of the Indian delegation,” he added. 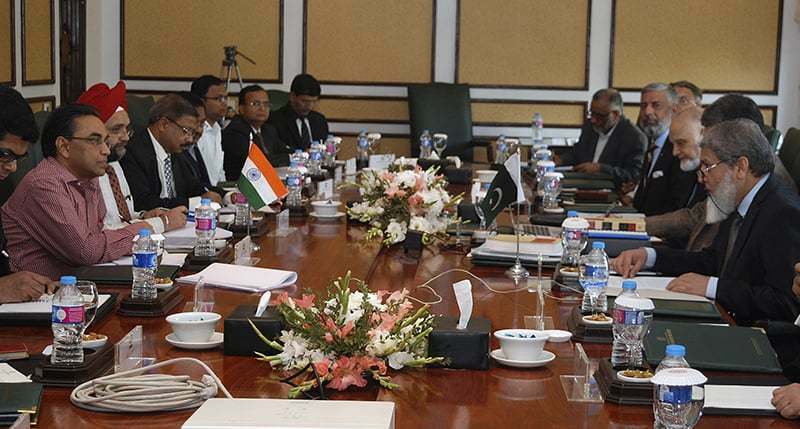 The 10-member Indian delegation currently in Islamabad is led by Indian Indus Water Commissioner P.K. Saxena. Khawaja Asif said Pakistan would be in a position to protect its rights on Ratle hydroelectric project, adding that the country’s stance had not been negated at any level. He refused to speculate whether or not the water talks could ultimately lead to the resumption of composite dialogue. “We want that India should share the design of the three proposed projects, and if they hurt Pakistan’s interests, then objections will be raised at the appropriate forum; this is our right. Since the treaty was signed, 116 project inspection visits have been undertaken,” he said. Pakistan has been protesting over the design and construction of the two projects — the 330MW Kishanganga hydroelectric project and the 850MW Ratle hydroelectric project in India-held Jammu and Kashmir. Islamabad has been demanding international arbitration through the World Bank — the so-called guarantor of the 1960 treaty. The minister said Pakistan had decided to seek international arbitration following the failure of secretary-level talks on Ratle on July 14-15 in New Delhi. Pakistan, he said, had objection over the project design. The minister claimed that the World Bank-sponsored International Court of Arbitration had given its verdict in Pakistan’s favour over the Kishanganga project and Islamabad was now demanding that it be implemented. A former water and power secretary, however, disagreed. He was of the opinion that Islamabad’s main objection over the diversion of the river waters by India was not entertained by the International Court of Arbitration because authorities could not establish through evidence its water uses from the Line of Control to Muzaffarabad. The minister, however, conceded that Kishanganga would affect the generation capacity of the 969MW Neelum-Jhelum Hydropower plant, which is located downstream of the proposed Indian project, by about 10pc. 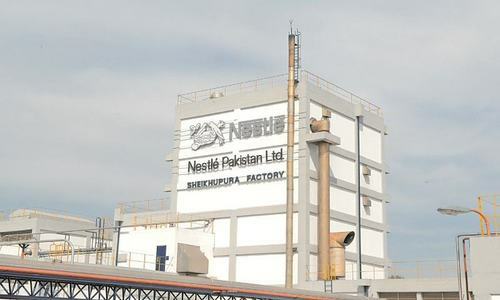 The minister said the two-day talks on 1,000MW Pakul Dal, 120MW Miyar and 48MW Lower Kalnai projects would be led from the Pakistani side by Mirza Asif Beg, Pakistan’s Indus Water Commissioner. He said India had not shared the design of these projects with Pakistan, as required under the treaty, adding that Islamabad had serious reservations over these projects and believed they would give India the capacity to impede water flows to Pakistan. He said Pakistan always believed the accord was one of the few international treaties capable of resolving serious disputes over water reservoirs through peaceful means and sanctity of the treaty and resolutions of dispute though this was in the interest of the two nations. In July 2016, a high-level delegation headed by the water and power secretary had visited New Delhi to discuss these projects, but India’s inflexible attitude resulted in their failure to reach a conclusion. After this, Pakistan decided to approach the Permanent Court of Arbitration against India. 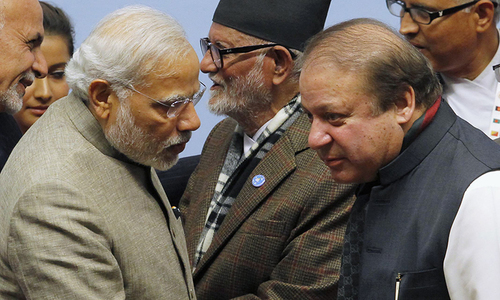 Last September, Pakistan approached the World Bank when Indian Prime Minister Narendra Modi threatened to revoke the 56-year-old treaty following the Uri attack. Under the treaty, the World Bank has an important role in establishment of the Court of Arbitration. Indus commissioners talks: first step to composite Indo-Pak dialogue? US and WB put india in its place. Soon same instructions for IOK. Delusion. USA or world bank can't do anything. All cases on water project has been won by India in past, with opposition unable to stall our construction of projects. Forget bringing India on board for these regularly occurring stale mate meetings, which has no affect on policy decisions of GOI. India on contrary went ahead sanctioning 6 hydropower project in region which will be completed in 3 years. So everybody gets a taxpayer funded trip to America? In the future, these meetings should be held in someplace less comfortable than either India or Pakistan. It'll give everyone an incentive to sort things out locally. Many things have changed in the last 56 years. India and Pakistan should sign a new Indus Water Treaty. Return back to India safely. Have Pakistan sent designs of their hydro projects to India? Those who advocate for breaking ties with US, it is US and world bank, not your iron brother is helping to bring both the countries into negotiating table. In what way US or World Bank has put pressure on India. You forgot to mention it. You mean India felt terrified by the pressure exerted by US and World Bank. No country or organisation can deny India the right to use its share of water. The population of Kashmir has grown considerably since past 50 years. Their requirement of water has also increased. You can't deny them water. @Zak pak long way to go for diplomacy. Be sensible and polite then you may get what you asked for. @D.K. PAMNANI A Chienese Design, no need to look at it. Indian team just on a vacation to please all sides, take my word, nothing is going to happen, India will.building the dams. I support both side agree to develop what is good for Kashmir and Kashimiris. If they are out of poverty and have good development, why they fight ? Sharing and caring is good to promote peace. You can bring a horse to water but you can't make him drink. @Zak "US and WB put india in its place. Soon same instructions for IOK." Wait for the outcome of the meeting and you will find out who has fallen in place. Kishanganga dam completed last year. @Echs Well said, totally agree with you. @Zak India is buying time to complete these projects. One round talk gives 6 months extension to complete the project . @Vasan who said india is out of poverty?